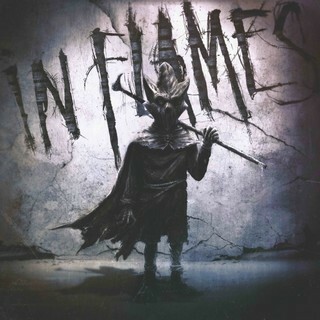 "Despite some weak tracks, "I, The Mask" is a good record from In Flames who finally manages to find the right balance of sounds." Following the road of In Flames these years is a high-flying exercise. If on stage the Swedish band remains a boss who drains the crowds, it is not the same in the studio, where it divides. After an atypical "Siren Charms" the band tried to get back to a heavier sound but without convincing completely. He is back with "I, The Mask", his thirteenth album without Peter Iwers this time who left in 2016 after 20 years of presence, leaving the duo Gelotte / Friden in charge. The album deals with themes dear to the hearts of Swedes on the defence of nature and its relationship to the human being. It is divided into several acts. The first one gathers the first four tracks and is particularly virulent and a biting and aggressive In Flames. This set formed by 'Voices', 'I, The Mask', 'Call My Name' and 'I Am Above' is a pleasure to hear. Anders knows how to rips his voice out but he doesn't forget to use it in a clear way. Next to that, the riffs and solos are striking near of what the band offered at the beginning of the 2000s. After this first mind-blowing act, In Flames calms the game. "Follow Me" alternates power and catchy melody with an excellent chorus carried by Anders' clear voice. A true cry from the heart, '(This Is Our) House' leans towards the alternative with a catchy dynamism. But 'We Will Remember' and 'In This Life' are very predictable in the pop metal spirit without any soul. Finally, the last act alternates the moods. There are two tracks that fit in well, including "Deep Inside. The finale is sweet, and if "Stay With Me" work with its melancholy, "All The Pain" leans too much towards an alternative tinged with emotional too tearful. Despite some weak tracks, "I, The Mask" is a good record from In Flames who finally manages to find the right balance of sounds. In doing so, it regains pretty colours and suggests that it can now move forward after a lot of turbulence. And 13 for the Swedish death metal giants! With "I, The Mask", In Flames is back stronger than ever. 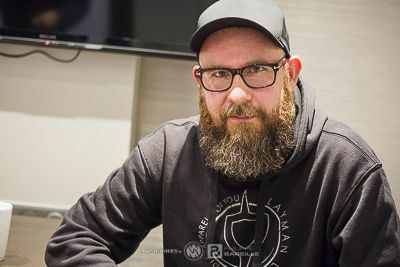 Meeting with singer Anders Fridén. Despite some weak tracks, "I, The Mask" is a good record from In Flames who finally manages to find the right balance of sounds.